I've reaffirmed to myself this week that with all the things I want to do this year (more on that coming soon) I first have to get my energy back up. While most Treat Yo Self Thursday's do revolve around yummy paleo treats, luscious selfcare products, and selfcare ideas, today's treat yo self is about treating your body healthily. 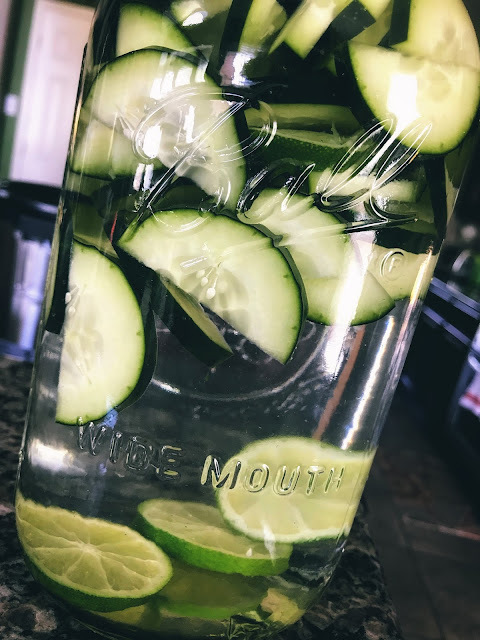 I've talked before about how much water one should really drink but sometimes it's just hard to drink it down for most people. Even for me if I miss a day due to travel or activities, I get out of the habit and then it's hell to get back in. That's where flavored water comes in, and I'm not talking just squeezing a lemon in a cup do a whole jar or pitcher!!! Keep it in the fridge so it's ready to go. With that much water flavored made you are bound to drink it all! I like to avoid plastic where I can because of the extra estrogens it has so I make mine in large half gallon mason jars. 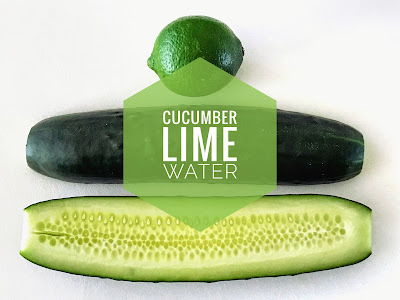 So since it's Spring I'd thought I mention one of my favorite flavor combinations, Cucumber's and Limes. Fresh, delicious and crisp. So much so, I drank a whole jar in one day. I like a ratio of one med/large cucumber to one lime. First wash and scrub your cucumber and lime. 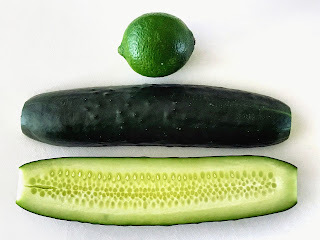 I split the cucumbers in half longways and then cut 1/4" half moons. 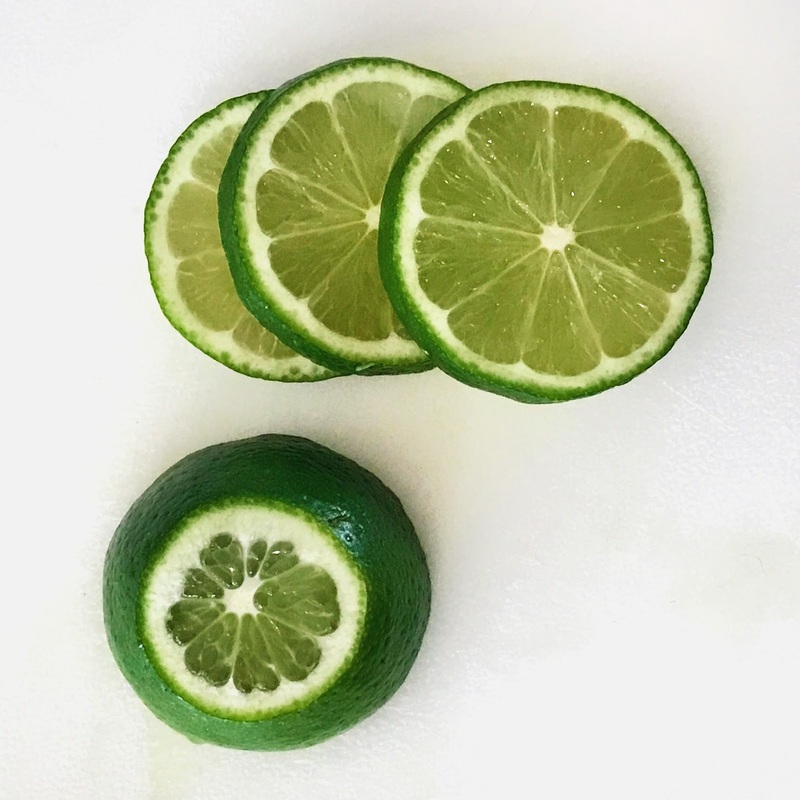 I cut off the ends of the limes and then cut them into rings. 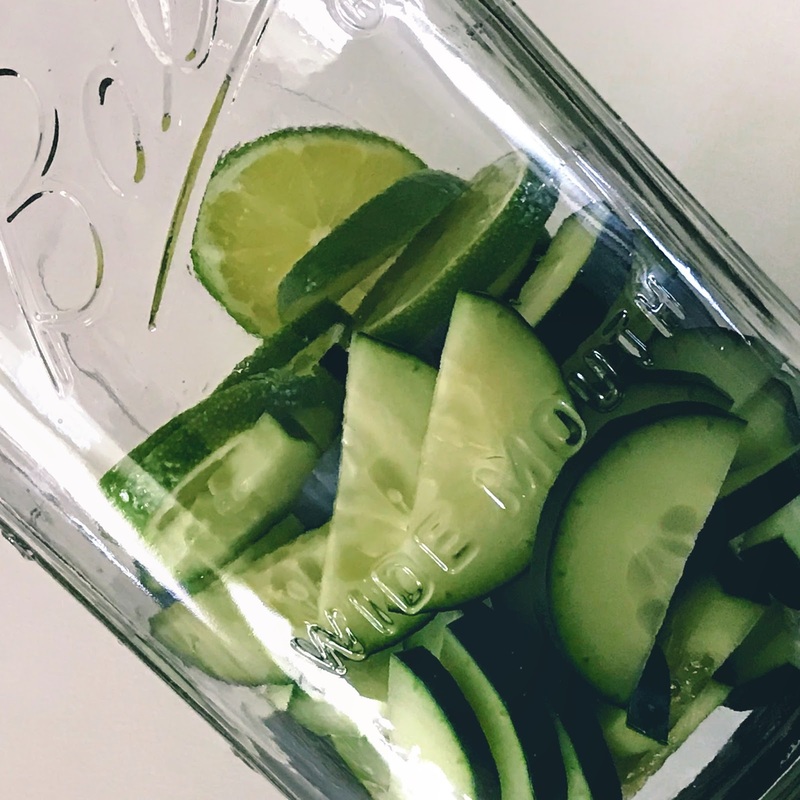 Dump them into the jar and cover with filtered water. Keep in the fridge to avoid spoiling. Consume within 48-72 hours.